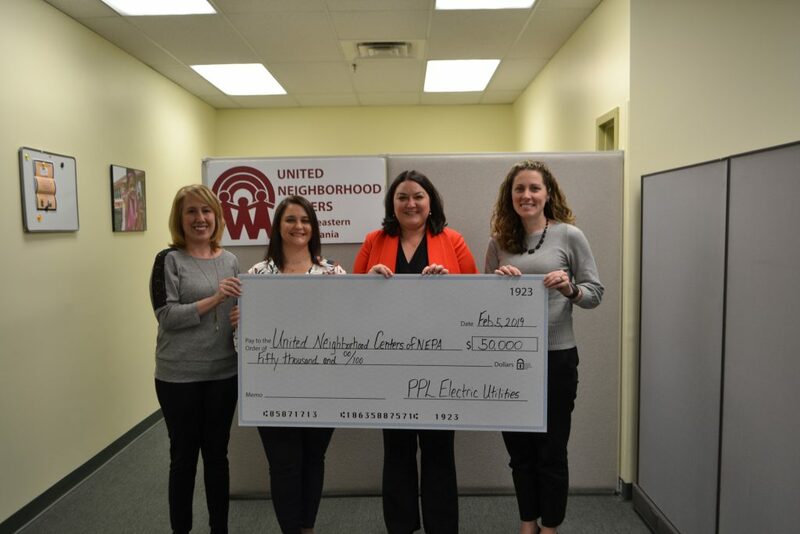 Through our partnership in the Neighborhood Partnership Program (NPP), PPL Electric Utilities donated $50,000 to United Neighborhood Centers of Northeastern Pennsylvania to support our economic revitalization efforts in South Scranton. We are so grateful for their support of our mission to work together with neighbors to provide services and create opportunities that empower individuals and build strong, interdependent communities. Pictured above, left to right: Chrissy Manuel, Revitalization Manager at UNC; Terilynn Brechtel, Director of Community Education & Revitalization at UNC; Lisa Durkin, President/CEO at UNC; and Alana Roberts, Regional Affairs Director at PPL Electric Utilities.